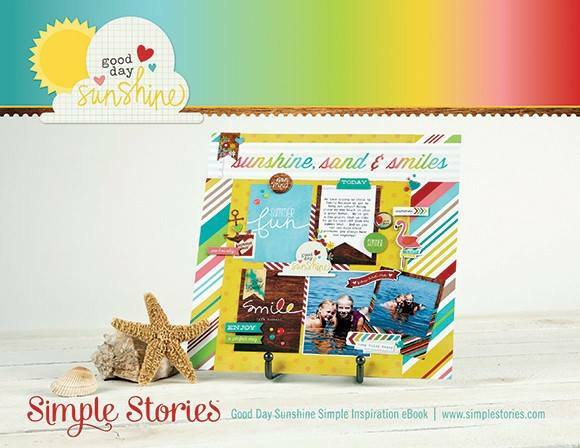 Simple Stories has released an inspiring new eBook featuring 20 pages of projects using the newly released Good Day Sunshine collection. This is a free download (PDF) so be sure to check it out. You'll even get to see one of my layouts and a card in there. If you like what you see, you can order this collection from the Paper Issues store. 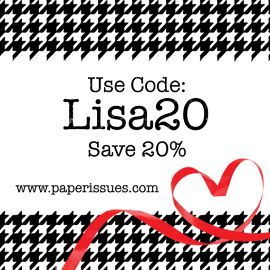 Get your whole order for 20% off with the code LISA20. Happy shopping! Off to check it out!!!!! Thanks for the heads up, Lisa, will definitely be taking a look! Looks fun! Going to have to check it out! I love Simple Stories. The line is so easy to work with and the colors are always cheerful.Thanks for sharing the eBook. Love the ebooks coming out, absolutely stunning work! So cool to be part of an eBook :) Off to check it out! Congrats to by part of this! Well done you!!! Congrats and what a fun thing to happen for you!! So glad others love your projects. Can't wait to see what's in the book!! !